Our client had large offices areas that required ventilation to help disperse C02 levels. Scott Heating and Ventilation installed validation C02 sensors to find out how high C02 levels were, and in some cases C02 levels were over 2000 Parts Per Million (PPM). We monitor the readings for 3 weeks (every 15 minutes) before we carried out the work, which was over an 8 week period. The readings were monitored again after for 4 weeks once work was complete. 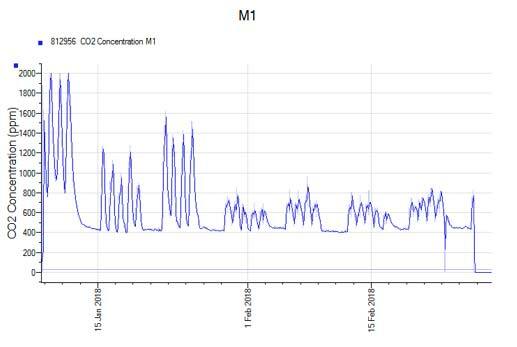 The difference was incredible and the C02 levels were reduced down to a very comfortable level of 1000 PPM. This work was carried out in an overnight installation due to the office not being able to be vacated during daytime hours.